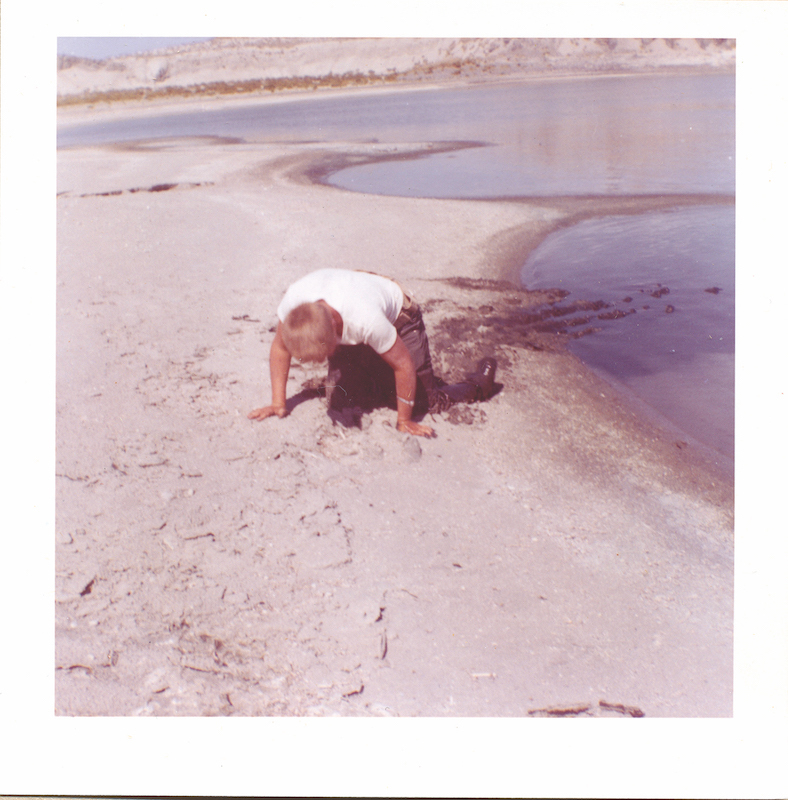 CRAWLING out of the saline mud at Mono Lake might have helped grow grit for camper John Welborne circa 1959. Resilience — or grit — has been highlighted in recent years as an important character trait necessary for a happy, successful life. How can parents help kids grow their grit? One solution is sending them to summer camp! Here are five ways summer camp experiences help grow grit. Campers learn to do more things for themselves when mom or dad isn’t around to clean up, make decisions, and solve problems. With counselors alongside, camp is a great place for kids to develop self-reliance. Counselors coach campers to be responsible for themselves, but they will not tidy their bunks or dress them in warm sweatshirts. Learning to do more for themselves — and seeing that they CAN manage without their parents’ help — grows campers’ grit. #2 Experiencing mistakes and failures. Parents often stop a child’s failure before it occurs because it’s too difficult to watch when we know the easy fix. Unfortunately, by not allowing our kids to feel failure, we deprive them of the chance to learn from their mistakes. At camp, kids make mistakes all the time and are actually encouraged to fail (which is viewed as nothing more than a first attempt in learning); we celebrate persevering through failures, which also grows grit. #3 Talking about, setting, and reaching goals. Kids reinvent themselves at camp. Counselors encourage campers to share what they want to learn and specific goals that they have for the session. These goals become a source of motivation, and campers grow through challenging themselves. Water-skiing is a great example of how kids grow grit at camp. Frankly, water-skiing isn’t much fun for first-timers, but those who keep trying often discover a rewarding payoff. In the same way, campers experience amazing gratification when they overcome a fear of heights or break through their shyness when talking to new people. Even pooping in the woods for the first time is celebrated as an accomplishment at camp! And each of these goals reached, big or small, grows grit. In addition to specific activity or social skills goals, there are many new, unfamiliar things campers experience that aren’t necessarily challenges, but they can be for some kids. If you studied abroad during college, you know that living in a new country and navigating the culture grows your grit. For many kids, going to camp is like that. For an only child, living in close quarters with eight or nine other kids is a completely new experience, and every new experience, whether easy or difficult, grows the confidence kids have in themselves toward other new experiences, which grows their grit. #5 Feeling emotional and physical discomfort. Many campers feel emotional discomfort while away from home. Because of this, some parents will never send their kids to camp. Those of us who have experienced how camp positively impacts kids know that it’s the uncomfortable stuff that helps them grow.The most common emotional discomfort at camp is homesickness, and it’s especially painful for anxious kids. Homesickness is very real, but it can be a source of growth once the camper figures out how to overcome the emotions and successfully complete camp. The physical discomforts of camp are also real. Parents may not want to hear about the hardships involved in a lightning storm, a frigid mountain night, a steep uphill hike, or lake water so cold it makes your teeth chatter. But these things are good for campers, who often don’t experience much physical discomfort at home. Campers speak with pride about the emotional and physical challenges they face and overcome at camp. And those experiences — maybe more than anything else — grow their grit. Audrey Monke and her husband have owned and directed Gold Arrow Camp in Lakeshore, California since 1989. See her sunshine-parenting.com and happycampersbook.com websites.